Although common in very different circles, cocaine and caffeine still have their similarities. A number of studies have been done on the parallel properties of each. Here are a few similarities and differences between the two popular drugs. 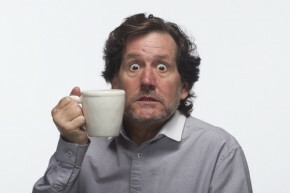 Both cocaine and caffeine are stimulants, meaning that they create a powerful feeling of alertness and wakefulness. Caffeine eases in a little more gently, taking up to an hour to work and lasting approximately three to four hours. Cocaine, on the other hand, creates a massive rush of euphoria and energy within thirty minutes or less (depending on how it is administered and how quickly it is absorbed), and it only lasts an hour or two. Cocaine users typically engage in binge use for this reason. As they are coming down from their first use, they take another dose in order to maintain their high. This is a dangerous practice, however, that inevitably results in addiction and has a negative impact on the brain. Cocaine users exhibit much more hyperactive behavior than those on caffeine. They become much more animated and more talkative. While the short-term effects of cocaine and caffeine are very similar, although varying in intensity, the long-term effects are as different as chocolate and vanilla. While caffeine is addictive, being a drug, its withdrawal symptoms are not as heavy as cocaine, making it easier to quit. Long-term use of caffeine may have some negative consequences on the body, especially with heavy use, but they are mild compared to long-term cocaine use. Both caffeine and cocaine are addicting. The forms of addiction, however, are vastly different. Caffeine is addicting in the sense that users rely on it to wake up every morning, or turn to it for certain routines such as getting through a mid-afternoon slump. Withdrawal is uncomfortable and results in headaches, nausea, vomiting, cravings, exhaustion, insomnia, and more. Cocaine, however, works on the brain in an entirely different way. Bypassing the dopamine receptors of the brain, it causes pleasure-inducing chemicals to back up in the brain, causing a rush of euphoria and all the other symptoms associated with being high. This kind of euphoria results in an addiction that overtakes a person’s life. Cocaine addicts will stop at nothing to get their next fix. They will turn to prostitution and criminal activity, no matter what their background or socioeconomic status. When was the last time you saw someone do that for a cup of coffee? In short, both cocaine and caffeine are drugs. While they are both stimulants, they work on the brain in entirely different ways—one with the iron grip of addiction, the other with a firm grasp.